The iron-ore price astounded analysts in 2016 by recovering from a 2015 average of $55.30/t to end the year at more than $80/t. While the rally continued into 2017 – with the price exceeding $90/t in February, the highest since August 2014 – many market watchers are not convinced that the current level is sustainable and expect a pullback before the end of the year. Creamer Media’s Iron-Ore 2017 Report provides an overview of the global iron-ore market over the past year, with particular emphasis on supply and demand, trade and pricing. 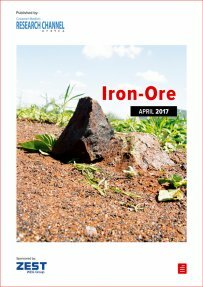 It provides not only information on the major global iron-ore producing companies and other significant producers, but also an overview of South Africa’s iron-ore market and its major producers.